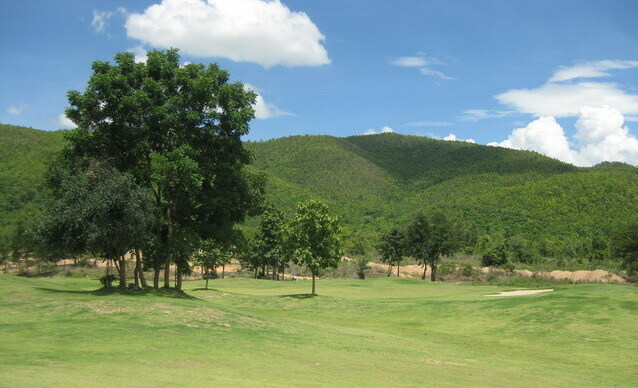 Opened in 2009 and located around 1 to 1.5 hours from Chiang Mai, Gold Canyon is in a wild and rural area not far from Lamphun. Gold Canyon is surrounded by orchards, woodlands, and canyons. 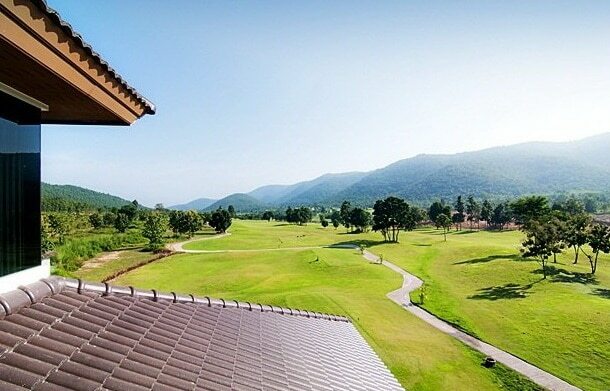 The setting provides a tranquil and scenic location, and the Chiang Mai golf course is enjoyable for all. 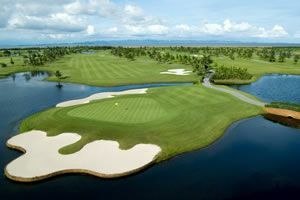 Unique design features are evident throughout the course. 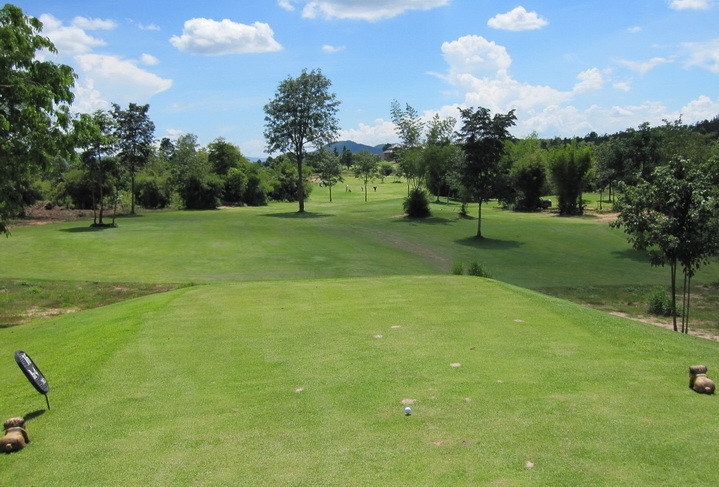 For example, the Chiang Mai golf course is wide open with little water or bunkers coming into play. However, trees are a natural hazard and are even situated directly in front of several tee boxes. 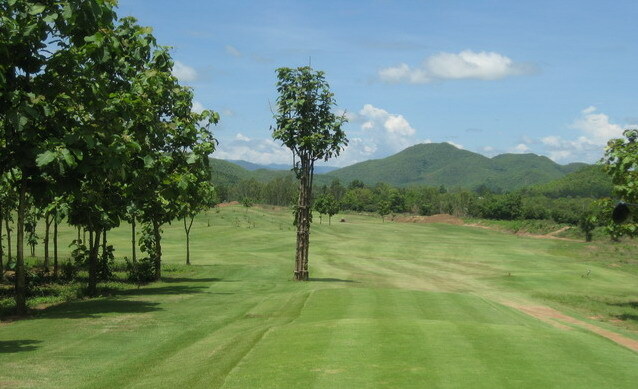 While removal of some of the original trees improved the playability of some holes, golfers still have to avoid the fairway hazards by hitting over them or merely risk trying to pass the ball through the branches. 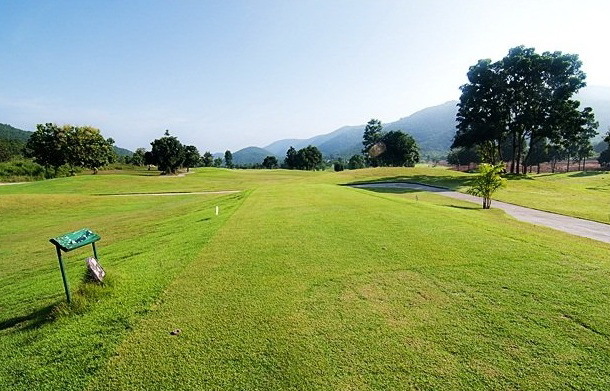 Golf Canyon plays to over 7,300 yards from the back-tees and while the course is of reasonably flat terrain, be prepared to do a lot of additional walking as the distance from green-to-tee is long and often hilly. The 1st hole is wide open with a colossal fairway and pretty straightforward. 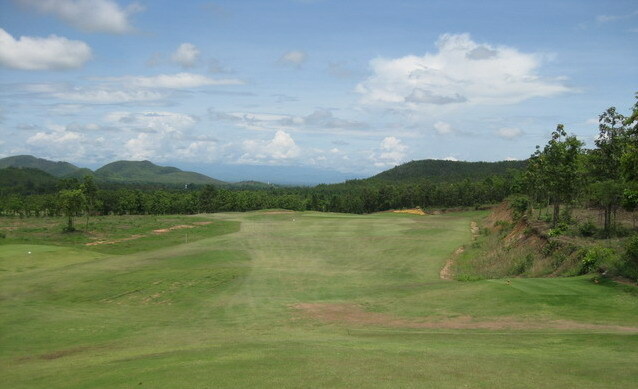 The course then gets tougher as you progress and the back nine is much more challenging than the front. There are some tight driving holes, but most fairways widen out after around 200 yards off the tees. Three of the par-4 holes are very long. 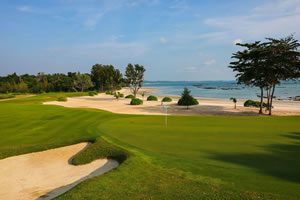 The front nine could be considered relatively easy by advanced golfers. However, for holes 10-18 it&apos;s another story. 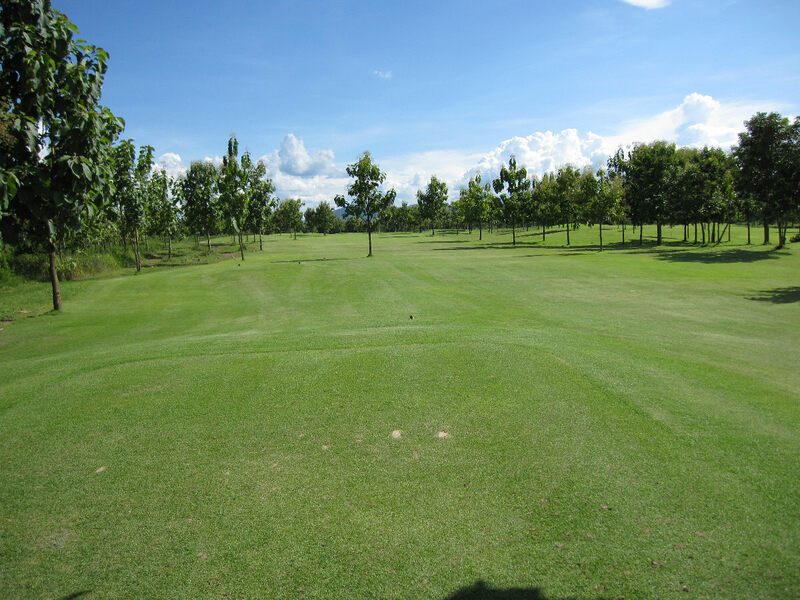 The back nine offers tighter and thicker grass areas, with a few water hazards, and are the better of the two nines. The clubhouse and other amenities are average and provide necessities for Chiang Mai golfers. 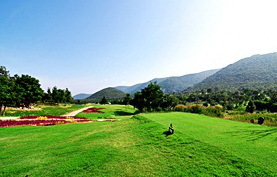 Gold Canyon Golf Club may be suitable for golfers who prefer rugged scenery and don&apos;t mind spending a few hours golfing in a unique course layout. 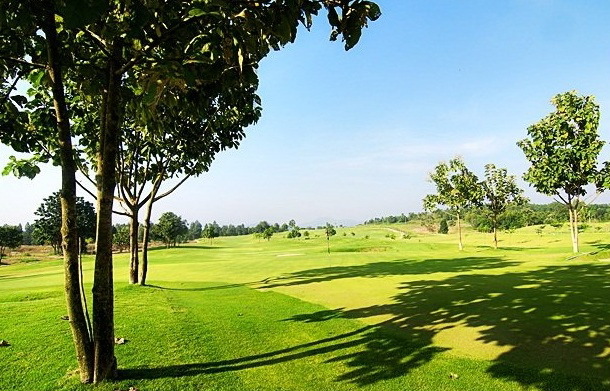 Golf Canyon is not a top Chiang Mai golf course and the drive time will put some people off, but nevertheless, it offers scenic mountain views and is less expensive than most Chiang Mai golf courses. Also, be sure to check availability and playing conditions ahead of time as Gold Canyon is a favorite course for golf tour groups. Have you played golf at the Gold Canyon Golf Course and took some nice photos that you would like to share with other golfers? Send them to us and we may upload them here. Thank you in advance!